In and to the Park ther are various attractions and restaurants. Together they attract more than half a million visitors a year. Locals, tourists, day-trippers and businesses stay here with pleasure. The entrepreneurs from this area feel involved and connected together. They see each other’s presence as a reinforcement. The joint vision is that the Park is an attractive port area. To start is De Zwarte Zwaan Events (Black Swan Events) located on the ship De Zwarte Zwaan. Here is the place to be for all group outings. Visit Rotterdam is for the tourist and children’s Party in Rotterdam you can have fun and unique parties. 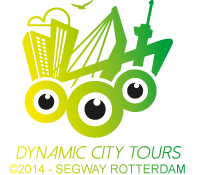 Attractions in the Park are the Euromast, Rotterdam, Rotterdam, Mini-golf Segway Splashtours Rotterdam, Sightseeing, walking tour of Rotterdam, and Lasergame Rotterdam. Hotel industry is represented with De Zwarte Zwaan and the Golden Wok restaurant. Spend at New Ocean Paradise. The Park haven is enlarged to the Meuse with gastronomic attractions The Pancake boat, the bears boat and MPS. The Ameland. Euromast park can be seen as an extension of the area and is an addition to recreational level. In the park at the foot of the Euromast countless festivals take place such as the annual Dunya festival, summer Sundays, Liberation festival and the day of romantic music.